Development organizations are increasingly staffing their offices with national professionals. Take the case of Abt Associates. Of the more than 500 people working on its 20 current projects in East Africa, 90 percent are local country or regional nationals, according to John Ruyter, vice president of human resources for the development consulting firm. The majority of UNICEF staff in East Africa, too, comprises locals, said Rolf Schaller, its chief of recruitment. Localization and its wide-reaching effects on the aid community was the central topic at last week’s first-ever Devex International Development Career Fair on African soil. 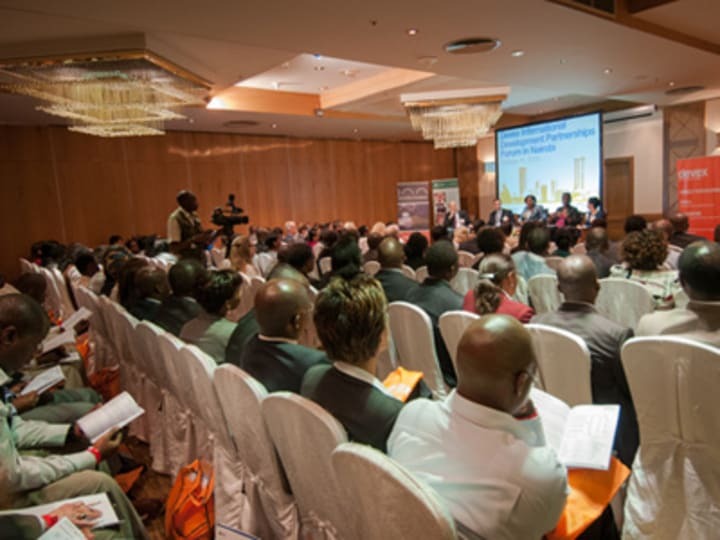 The event in Nairobi, Kenya, brought together more than 300 job seekers, who mingled with representatives from more than 40 development organizations looking to hire. “Where is the focus of development? Where is the power? It’s increasingly moving to places like Nairobi,” said Raj Kumar, president and editor-in-chief of Devex, during his welcome address at the fair. Panelists in the opening plenary focused their discussion on hiring trends in East Africa, best practices for recruiters to stay competitive as well as advice for attending job seekers. Ruyter and Shaller were joined by Helen Kong’ong’o, RTI’s regional director of human resources, Marionne Tucker, director of people and culture for World Vision, and Vincent Okele, managing director of Transtech Africa. “We need to foster local initiatives and learn from local initiatives around the world,” Shaller said of how recruiters are adapting to hiring trends. To successfully do this, it’s important to have clear talent development pipelines internally as well as externally, said Samuel Gichuki, a staffing specialist with World Vision. The NGO has a habit of sending staff members to other offices to allow them to experience another way of training, he said. Abt is increasingly hiring local HR professionals to spend their time in the field developing and cultivating relationships with local talent ahead of time, Ruyter said. Gichuki describes World Vision in much the same way. “We are global, but we operate locally,” he said. There is more of a scramble for local talent now, said Okele, who agreed that to be able to find and retain local talent, you must have a local presence. This often isn’t enough for smaller local NGOs which are competing with international organizations for candidates, one conference attendee argued during one Q&A session. Compensation packages of international organizations are hard to beat, she said, but this means losing local candidates to international positions. Tucker suggested aid groups conduct a salary survey to ensure that they offer a competitive salary in a particular field. She cited World Vision’s “local plus” program, which offers a competitive compensation package to members of the diaspora to incentivize them to return and work in their home countries. But it’s a vicious cycle, Tucker added, saying that World Vision, in turn, can lose people to the United Nations due to the multilateral body’s more generous compensation and benefits packages. Recruiters attending the Nairobi career fair offered plenty of advice to job seekers as they highlighted what they’re looking for in candidates and how career fair attendees should approach organizations. Tucker, who noted that World Vision is looking to hire water and sanitation experts as well as technical experts in health and education, recommended that job seekers come up with a concise two-minute speech to sell themselves. RTI’s Kong’ong’o said it’s an issue of self-awareness: Know what your purpose is, how it aligns with a particular organization and highlight what you’ve accomplished rather than listing off your CV. RTI, she added, is looking for professionals who can work across the public and private sectors as well as in governance and reform. Technical expertise is important, Ruyter added, but he also looks for forward-thinking candidates with the ability to work collaboratively across political and geographical differences. “How self-aware are you? How good are you at understanding others?” he asked. And even if things don’t seem like they will pan out today, follow up, Ruyter suggested. If an organization is in a scramble, they’ll look to who they know. Later, as the exhibitor room buzzed with busy networkers, it was clear that job seekers took Shaller’s advice to heart as well.